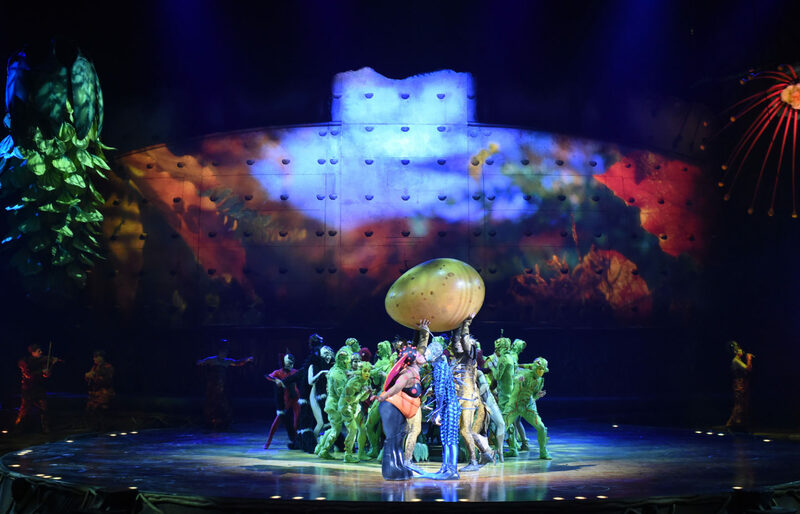 If you are looking for an immersive and breathtaking performance and a fun way to spend a few hours of your time then look no further, the Cirque du Soleil OVO show was truly spectacular from start to finish and certainly ticks the ‘entertaining’ box. The show takes place at the Royal Albert Hall which is by far one of the best venues I find in London. Not only is it very grand but if you have kids in tow, High Street Kensington is a short walk away filled with bustling shops and restaurants. Speaking of restaurants, Aubaine is the perfect place to lunch/dine pre or post the Cirque du Soleil show. And with a wide and varied menu, you are bound to find something that tickles your taste buds. See following post for my experience at Aubaine. Back to the show Cirque du Soleil OVO performance. 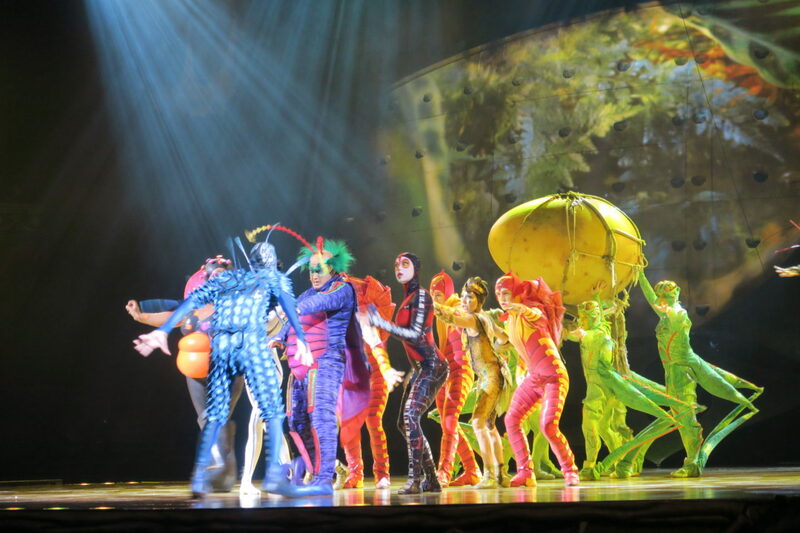 The show is based on the concept of an ecosystem of insects. You are engaged into a two hour performance packed full of walking and swinging creatures, music and jaw dropping acrobatic acts. The word ”OVO” means egg in Portuguese. The show kicks of with a mysterious egg that appears and the insects are curious about this huge iconic object that represents the engima and cycle of their lives. A quirky insect arrives and catches the eye of a ladybug and it is love at first sight for the pair. 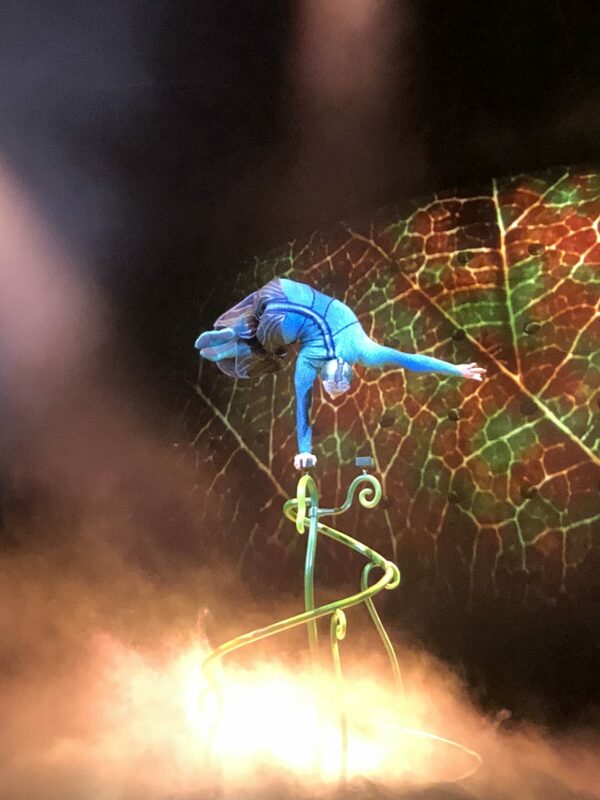 We saw trapeze performances, trampoline stunts, synchronised red ants juggling their food, flies throwing themselves in the air and forming fascinating formations, spiders hanging from a single piece of thread and dancing butterflies. It is definitely a must see, not only for adults but kids will have a blast too. Tickets range from as little as £20 with shows ending 4th march so get your skates on and start booking. They offer group bookings with discounts of 25%, a VIP box experience, family fun circus box and even a Valentines Day offer of 25% off selected seats which is available for a limited time only. Show your loved ones a good time, it sure beats a classic ”dinner on Valentines Day” event. 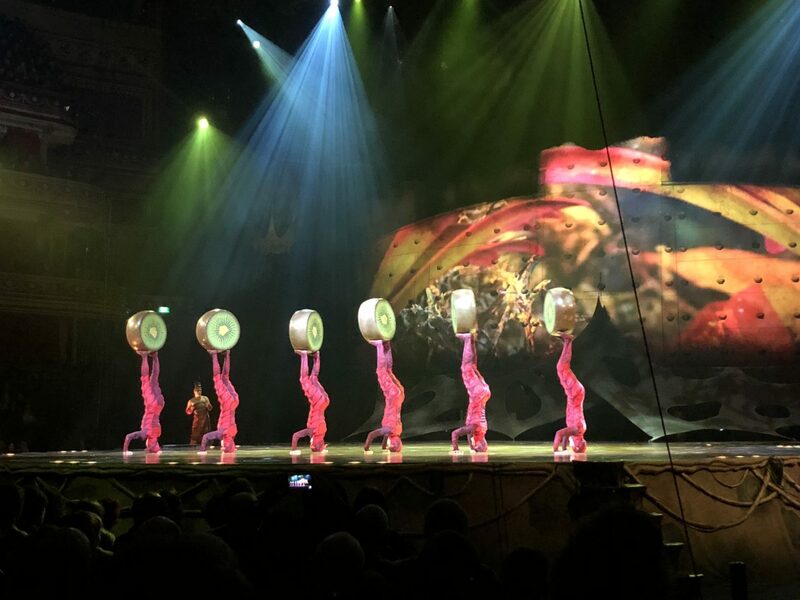 Also Cirque du Soleil celebrate 1000th performance on 24th February with a special performance in the morning. 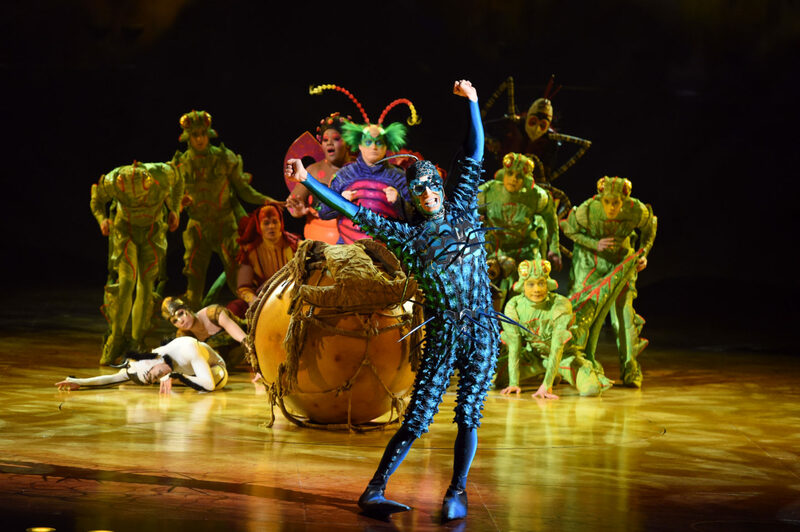 Have you been to Cirque du Soleil? What was your favourite part? For me, it was the flying trapeze which was mind blowing and the ended with the acrobats bouncing off the trampolines and attaching themselves to the ‘rock climbing’ display.